Capture a transient waveform for post processing. Use along for data acquisition, or with SRS for Shock Response Spectra analysis. 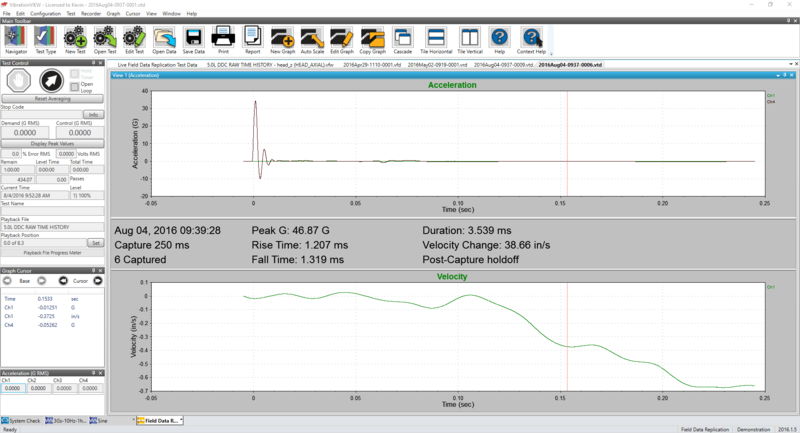 Transient capture provides a simple interface to record transient events. Select a trigger level, slope, channel, and duration. Select all or any combination of channels to trigger an event. Use the open loop sine chirp or random output to drive a modal shaker. Specify and display a SRS spectrum. Analyze SRS of each pulse as it is captured. 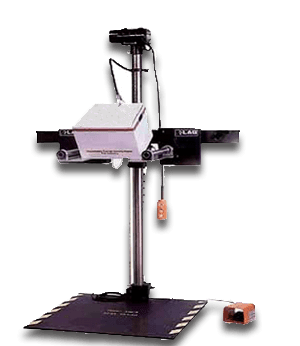 Many graphical display options are available, including acceleration, velocity, displacement, and acceleration spectra. Graphs can be easily auto-scaled or zoomed, and cursors displayed. Data and text annotations can be easily placed on the graphs, with data values updated live as the data changes.